An impression is taken to make a specialized “mouthguard” or “stent” to hold the bleach against the teeth. The material is used each night for about one hour for 2-3 weeks, and at the end of this time, significant whitening will occur. In some cases, the change is nothing short of brilliant. For confidence in appearance, bleaching technology allows us to promise improvements in yellowing, aging or stained teeth. 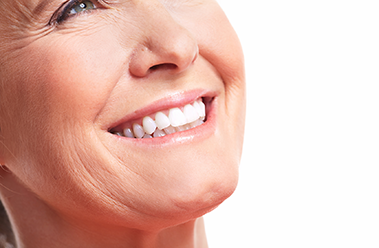 For very severely stained teeth, crowns or porcelain veneers may be more appropriate.